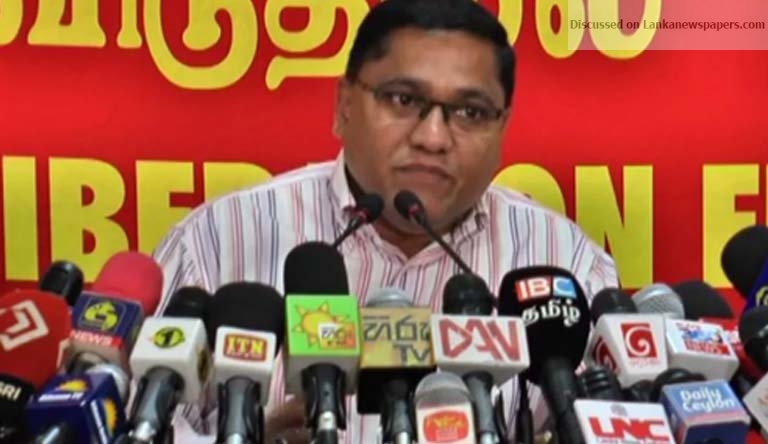 JVP Propaganda Secretary MP Vijitha Herath told The Island yesterday his party welcomed the move by the wife of their founder leader Rohana Wijeweera to file a habeas corpus seeking information of her missing husband. “We welcome the move. Such an application could be filed by only a member of the family. She should have done that many years back. But better late than never,” the MP said. Patabendi Don Nandasiri Wijeweera, better known as Rohana Wijeweera, was born on July 14, 1943. He was the founding leader of the JVP. As a candidate in the 1982 presidential elections, Wijeweera finished third, with about 250,000 votes. He led the party in two unsuccessful insurrections in1971 and 1987 to 1989. He went underground after the proscription by then UNP government of the JVP. On November 12, 1989 Wijeweera was arrested while hiding on a tea plantation in Ulapane with his family. He was removed to the Operation Combines headquarters in Colombo. On Nov 13, 1989 the then Defence Minister Ranjan Wijeratne told a press briefing in Colombo: ‘Wijeweera and HB Herath [another JVP leader] had been taken to a house just outside Colombo, where the JVP had hidden part of their treasure. While the search was in progress, Herath pulled out a pistol and shot Wijeweera dead’.